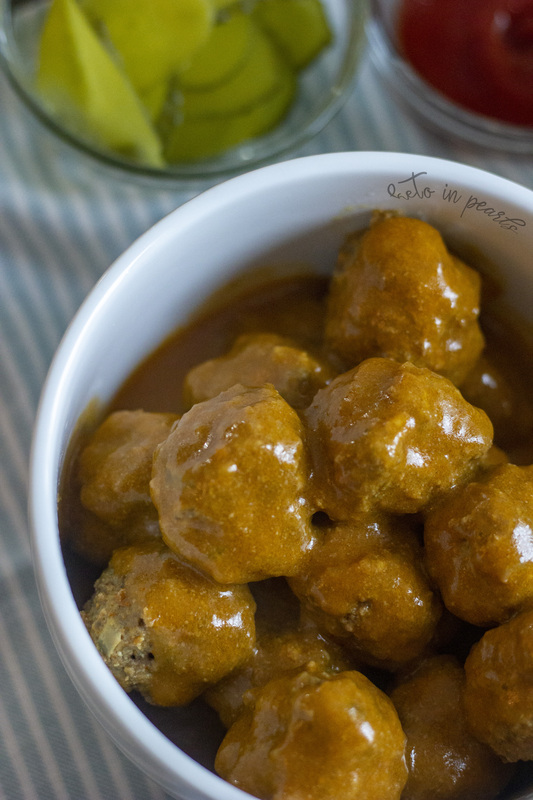 Keto crock-pot meatballs that taste just like a Krystal burger! Plus a tangy dipping sauce. Only 3.5 net carbs for 6 meatballs! Perfect for a keto Super Bowl party! 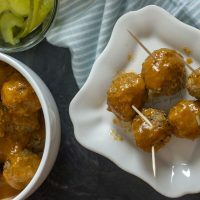 For the sake of nostalgia, and because I like finger foods, I made these keto crock-pot meatballs! They taste like a Krystal burger (or White Castle burger for those less fortunate). The sauce is tangy yet slightly sweet. Best of all, they’re only 3.5 net carbs for 6 meatballs! Fun fact about me: I have a secret, or not so secret now, obsession with Krystal burgers. The steamed buns, y’all. They give life. Bread of life. Jesus. Krystal burgers come from Jesus. You follow? See more keto appetizers here! When I moved to northern Kentucky, I also moved about 150ish miles away from the nearest Krystal. Noooo! I mean, I’m a good keto girl now so I guess I don’t need that negativity in my food life. But man, I still get a hankering for them sometimes. What is it about those steamed buns, mustard, pickle, and onion that is so damn delicious? All we have up here is White Castle and no matter how stoned Harold and Kumar get, it’s just not the same as Krystal. I haven’t had Krystal since I was pregnant with my son over 3 years ago. And really, it’s probably for the best because I’m sure I would regret it terribly as soon as I took the last bite. 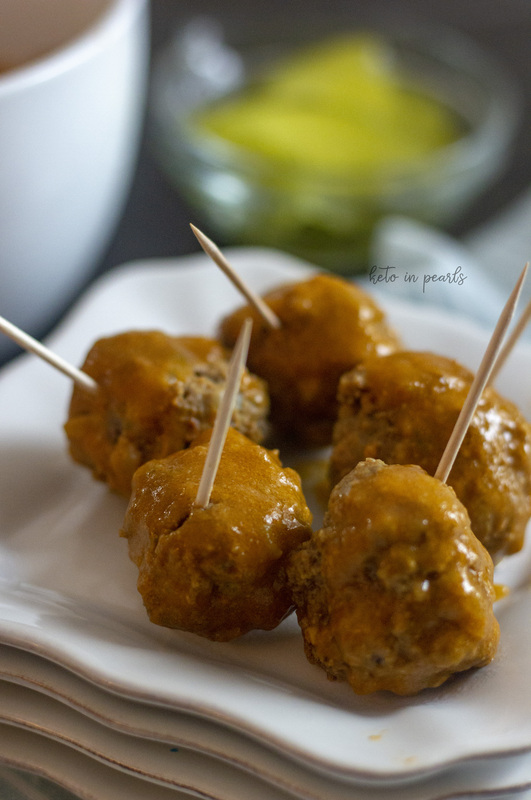 These little keto crock-pot meatballs make a great snack, appetizer, or a simple weeknight meal. 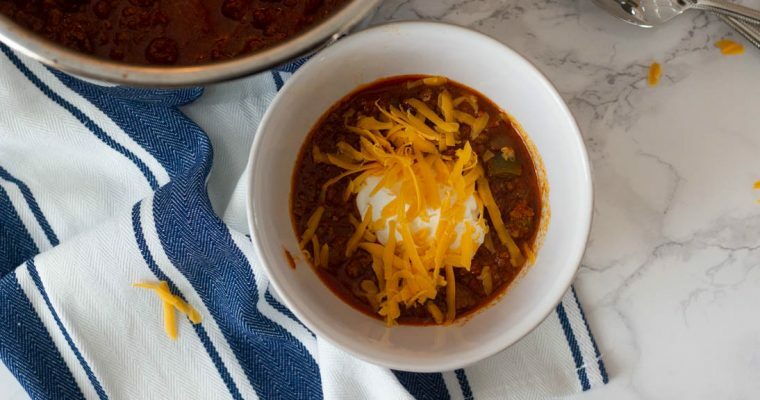 I made these in the crock-pot but you could definitely use the Instant Pot. I’ll include directions for both in the recipe card! 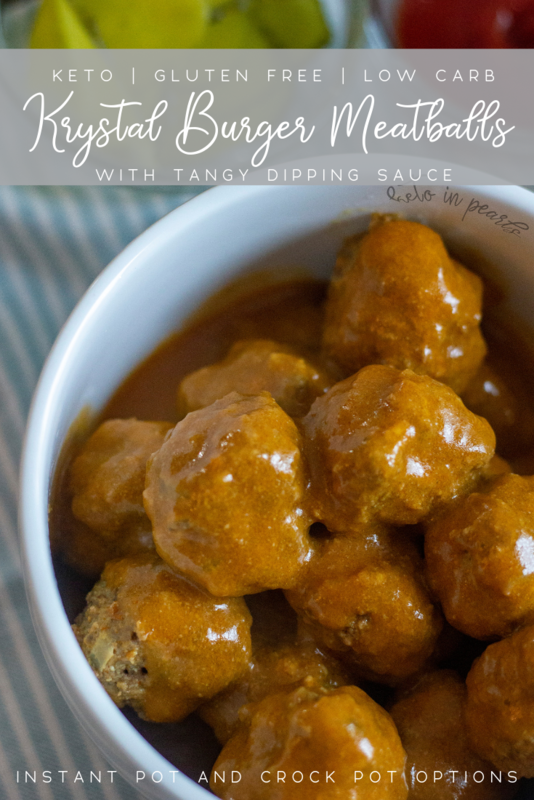 Keto hamburger meatballs that taste just like a Krystal burger! Plus a tangy dipping sauce. Only 3.5 net carbs for 6 meatballs! Perfect for a keto Super Bowl party! In a large bowl, add the beef, egg, mustard, pickles, onion, pepper, and Worcestershire. Use a wooden spoon to combine the mixture. Be careful not to over mix. Use a medium cookie scoop to make 24 1 ounce meatballs. Transfer the meatballs to the crock-pot. 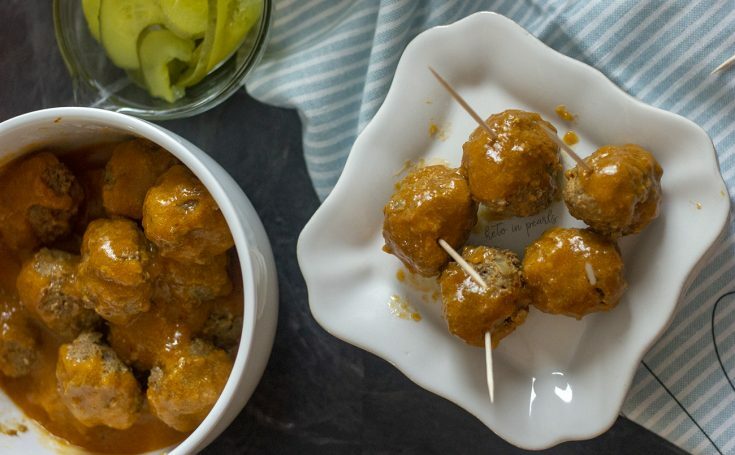 In a medium bowl, whisk the ketchup, mustard, pickle juice, and vegetable broth and pour over the meatballs. Remove the meatballs from the crock-pot and place in a bowl. Use a fine mesh sieve to strain the sauce from the crock-pot liner into a small sauce pan. Bring the sauce to a low boil and add the xanthan gum. Whisk until a thick and sticky consistency is reached, about 2 minutes. Pour most of the sauce over the meatballs, reserving some for dipping. 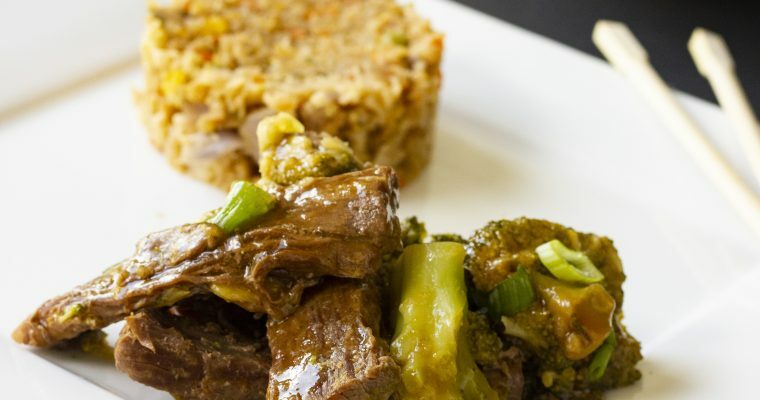 To make in the Instant Pot: follow steps 1 through 3. Close the lid and seal the vent. Cook on high pressure for 10 minutes. Quick release the steam. Follow steps 5 through 7 to complete the sauce. You may use the sauté function on the IP in lieu of the stove. 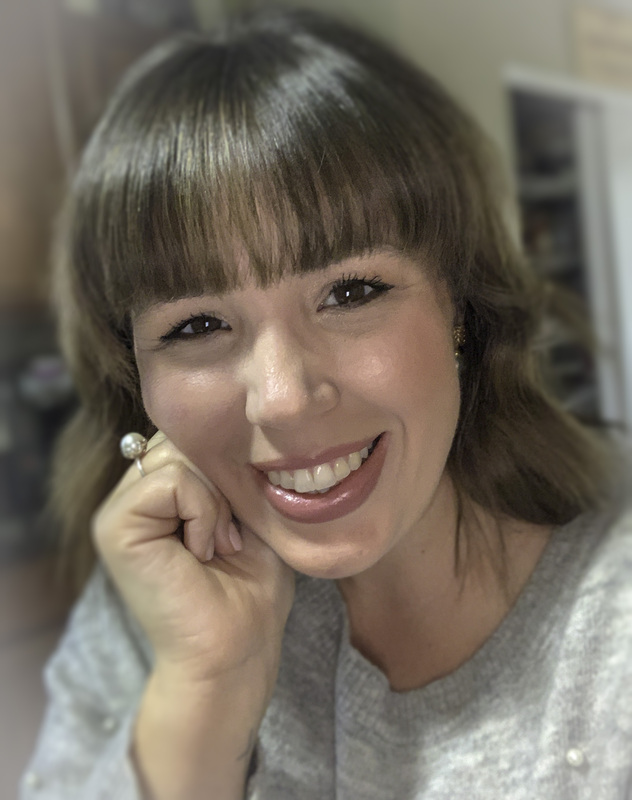 Thank you so much for sharing your keto recipes. I’m going to try the pickle wrapped appetizers. I would like to follow your recipes on pinterest. Again, thank you for taking the time to share. I really appreciate it.